Magnification 30 and 100 approx. 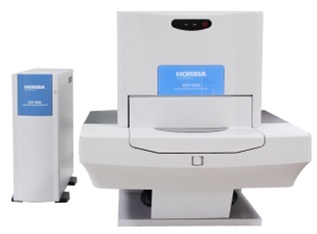 The XGT-5200 X-ray Fluorescence micro-analyzers combine the fast, non-destructive elemental analysis of energy dispersive X-ray Fluorescence (EDXRF) with the capability to pinpoint individual particles with diameters down to 10 μm and 100 μm in size. Automated sample scanning provides detailed images of element distribution, over areas as large as 10 cm x 10 cm.